You have been experimenting with your hair for months now - growing it out, going to the parlour, trying different hairstyles and what not. 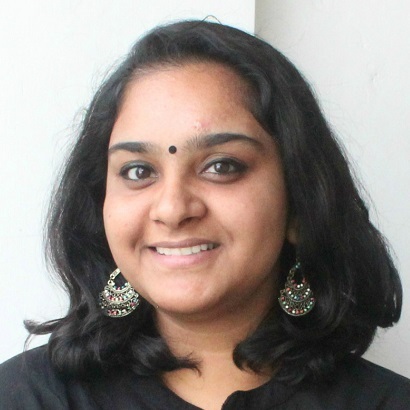 But somehow, you end up not paying enough attention to having bridal hair care routine as it takes a backseat amidst all the other preparations. But remember, if you need to look great on your wedding day, you have to pay attention to detail which, quite often most brides miss out. These are some of the biggest hair mistakes brides make on and prior to their wedding day. But worry not, because here are some tips on how you can avoid them, because we want you to look your best on D-Day. While it may seem obvious to wash your hair on the D-Day, it is a big no-no as it can make your hair frizzy and difficult to style. Even if it is a bit greasy and tangled because of the previous day’s events, do not wash it! How to avoid this: Wash your hair the day before the wedding so that your scalp retains all the natural oils. If your hair gets too greasy, use a dry shampoo which will help in soaking the excess oil. You’ve been growing out your hair for the wedding but you realize that it is full of split ends. 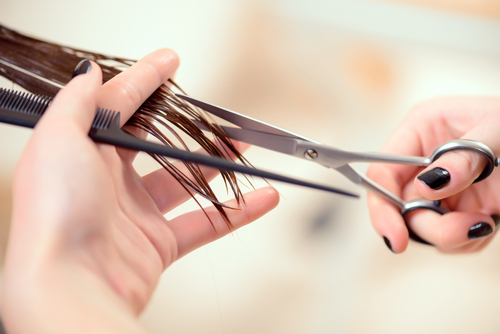 Do NOT go for a trim because, when you get a haircut too close to the wedding, your hair won’t hang on to the style. How to avoid this: If you really have to get a haircut, get it done 4-6 weeks prior to the wedding. Also, a little imperfection( split ends, baby hair) is actually good for your hair as that retains the style you get done on the day. You don’t want your hair to be too soft or too greasy to work with on your big day. Yes, conditioners do give the hair a smooth texture and shine but if the hair is too soft, it is difficult to work with and is bound to affect the longevity of your hairstyle. How to avoid this: Steer clear of leave-in conditioners at least a week prior to your wedding. Yes, it’s YOUR day but you don’t want to overdo the bling from head to toe, do you? 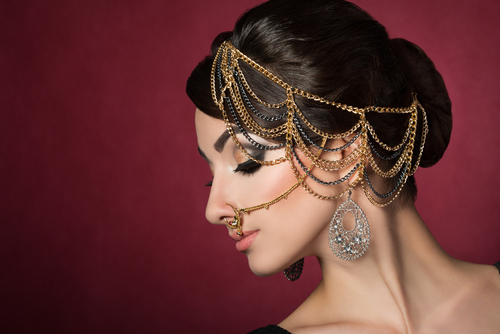 There are many brides who pick the wrong kind of hair accessories not only for the wedding but for other events like the mehendi, sangeet and reception as well. How to avoid this: When you go jewellery shopping, make sure to carry your outfits so that you don’t add too much bling with your maangtika. Also, according to the outfit design and style, decide what kind of hair accessory you actually want - it should be one that complements your outfit well. 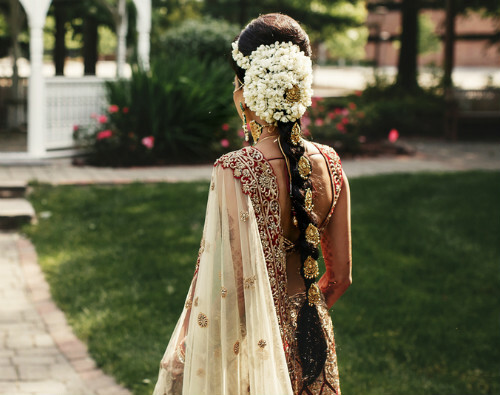 Your wedding day is definitely not the time to experiment with hairstyles or length. Also, do not try flicks if you’ve never sported one. Flicks usually get messy and look untidy after a while and are difficult to tame. How to avoid this: Apart from makeup trials, you must go for hair trials at least two months in advance. Your stylist will guide you and recommend the hairstyle that suits you best. To be on the safer side, keep taking pictures from different angles so that you remember what styles you’ve experimented with. Also read: Few Days To Go? 7 Easy Tips To Get That Bridal Glow In No Time! Do not make the mistake of trying the clip-in hair extensions for the first time on your wedding day. You might have seen brides wearing them and looking amazing on different websites but it doesn’t mean it will look the same on you. How to avoid this: During your hair trials, ask your stylist if you really need hair extensions. 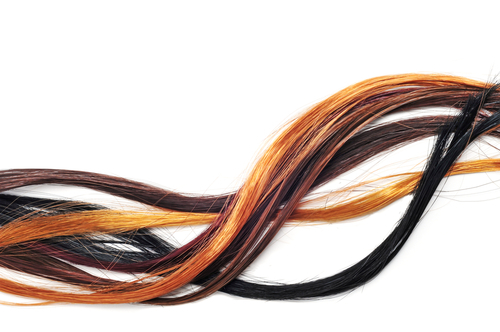 Your stylist will colour or trim your hair accordingly so the extensions look real if you decide to use them. Weather can mess up your hair big time. If you sweat too much during your summer wedding, your hair will look all greasy and oily, and during monsoons your hair can become frizzy. You need to keep the weather in mind to avoid this hair mistake. How to avoid this: Let your stylist know if your hair tends to get greasy, rough or frizzy in different weather conditions, and they will guide you accordingly. We know you’ve spent all these months online, looking for different hair accessories and you fell in love with the idea of flowers in your hair. Without a doubt, flowers do look good as a hair accessory. But wilted flowers do not look good at all! How to avoid this: Buy fresh flowers on the day of your wedding and keep them in the fridge till the time you NEED to use them. Not all of us are blessed with amazing hair. Many of us have certain hair problems that need to be discussed with a dermatologist and your stylist. If you want to be a beautiful bride you’ve always dreamt of, you cannot ignore your hair at all! How to avoid this: Visit a dermatologist and speak about your concerns. For that little oomph, take vitamins prescribed by your doctor and have healthy foods that help in adding that extra shine to your hair. Hairstylists tend to over spray hair because at the end of the day even if a single strand of hair pops out, you are going to blame them. But it’s not always about the hairspray and over using the product can make it difficult for you to manage your hair later on. How to avoid this: If your hairdo consists of a lot twists and curls, make sure your stylist is using the right kind of products. If there are two events on the same day, you can go for open hair for the first ceremony and opt for a more complex one for the second. Also read: 10 Makeup Artists EVERY Bride Must Follow On Instagram! At times, in order to look taller or just to add that touch of grandeur, brides ask for a super high pouf. If it isn’t styled properly, your entire pouf can fall apart, and you’re going to regret making that decision for the rest of your life. How to avoid this: A decent pouf is fine as it gives your hair volume. However, do not go overboard and end up ruining your hair, especially if it’s frizzy and dry in texture. Also, if your husband-to-be and you don’t have much of a height difference, avoid getting a high pouf altogether. You don’t want to end up with a drastic colour change just before your wedding day. You’ve gone through all the pain of going for hair trials and selecting a style that suits you best, so do not ruin it by going for a last minute colouring. 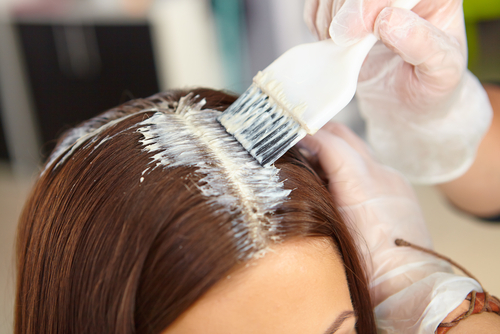 How to avoid this: During your hair trials, ask your stylist if a colour change will suit you or not. If you have a specific colour in mind go ahead with it two months prior to your wedding day. It’s a safe option because if you end up not loving the shade, you can always go back to your natural hair colour, and if you do, getting it re-done isn’t a biggie. What if it rains? What if it’s too hot? Many brides make the mistake of not having a backup! Something might go wrong and in that case you might even have to change your plans.